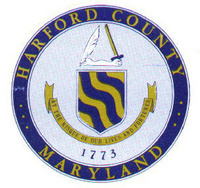 Harford County, a mixed suburban and rural area in northeast Maryland, flipped the switch in late May on its Harford Metro Area Network (HMAN). The network includes 160 miles of fiber bringing high speed broadband to 150 sites, including all area schools, fire stations, libraries, and county and municipal buildings. The project required $13.8 million in general obligation bonds from the county's capital improvement budget to construct four main fiber optic loops, with lateral connections leading to local anchor institutions. Not all planned facilities are connected yet, but construction will continue throughout the summer, as will the development of a business plan to determine how best to offer connections to local businesses and residences. Connections in the more rural northern area of the county will be wireless, due to the higher cost of building out to each home in lower density areas. County Director of Information and Communication Technology Ted Pibil estimated that the county will save approximately $1 million per year by owning its own network, allowing it to cut ties with Verizon and Comcast. All of Harford County’s 54 public schools will see benefits as well, with increases in bandwidth of 50-100 times. While HMAN is funded entirely by county bonding, it builds on the backbone infrastructure of the OneMaryland Network, a stimulus-funded project that connects every county in the state. The press conference announcing the start of network operations can be seen here.